Conor O'Malley; Lee Desmond, Shane McEleney, Killian Brennan, Ian Bermingham; James Chambers; Aaron Greene (Sam Verdon 88), Ian Morris; Conan Byrne, Christy Fagan, Jamie McGrath. Micheal Schlingermann; Michael Daly, Alan Byrne, Robert O'Reilly, Joe Gorman; Roberty Bayly (Tiarnan Mulvenna 88); Keith Treacy, Sean Thornton, Mark Hughes (Sean Brennan 78), Jason Marks; Lee Duffy (Robert McKenna 63). 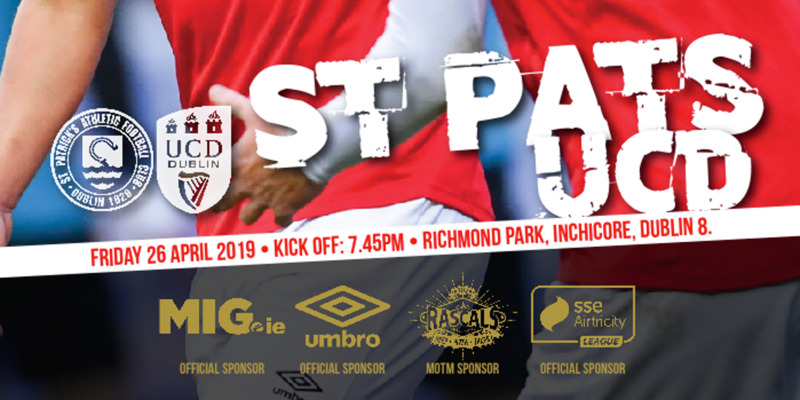 Despite the best efforts of the inspired Micheal Schlingermann, Conan Byrne and Christy Fagan got the goals to leave St Patrick's a point away from qualification for next season's Europa League. 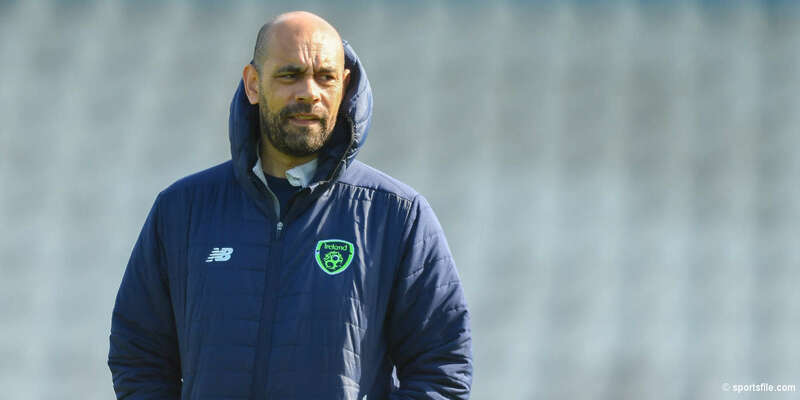 Indeed, should Bohemians not win at Sligo Rovers on Saturday night, St Pat's will have secured fourth place and Europe for a sixth successive season. Hampered by injuries and three suspensions, St Pat's lined out in perhaps their most unfamiliar fashion of the season with Lee Desmond at right-back and midfielder Killian Brennan partnering Shane McEleney in central defence. Ian Morris and Aaron Greene played in front of James Chambers in the midfield. With Sean Thornton and Jason Marks back from suspension, and fellow midfielder Robert Bayly passed fit, Drogheda were at full strength. Playing their first home game in seven weeks, St. Pat's started brightly, Drogheda defender Robert O'Reilly doing well to beat Byrne to Ian Bermingham's cross to clear inside the opening two minutes. Having scored in each of the last two games, Drogheda's ex-Ireland international Keith Treacy showed his quality as the visitors threatened for the first time minutes later. A turn of pace powered the winger through midfield before his low drive worked Conor O'Malley. But it was opposite number Schlingermann who would excel on several occasions in the first half to keep the sides level at the interval. Acrobatically batting away one-handed Brennan's free kick from just outside the area first brought Schlingermann into telling action on 24 minutes. An equally agile stop was needed 11 minutes later. Jamie McGrath met Aaron Greene's diagonal ball from the left with a diving header. But the Drogheda keeper again showed his quality to tip the close-range effort over the crossbar. Bravery was then required from Schlingermann minutes later when he saved at the feet of the inrushing Greene. 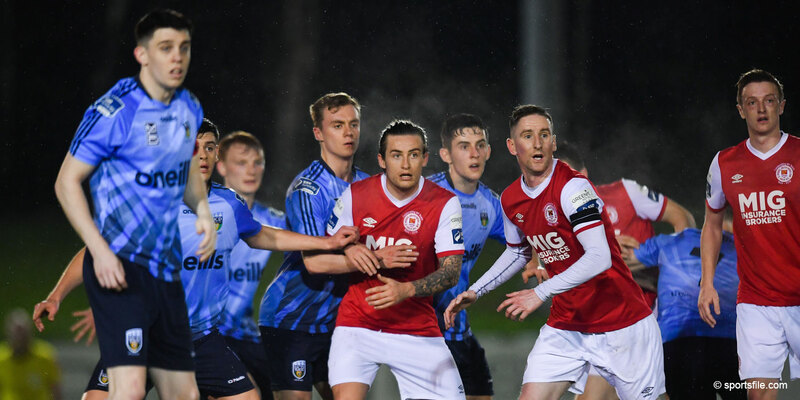 But Schlingermann was finally beaten eight minutes after the break when sent the wrong way from the penalty spot as St Pat's took a deserved lead. A rash challenge by Bayly hauled down Fagan as he latched onto James Chambers' through ball. Byrne score emphatically from 12 yards. Drogheda responded to level within eight minutes. Treacy's free kick was nodded back across goal by skipper Mick Daly for Alan Byrne to head home. Back at the other end, Byrne flashed a header wide and McGrath shot straight at Schlingermann before St Pat's restored their lead on 67 minutes. Morris played Fagan down the inside left channel and he ran on to drill a left foot shot to the far corner. McGrath might have added to that seven minutes later but for another sublime stop from Schlingermann.